What is the ePermit Tool? 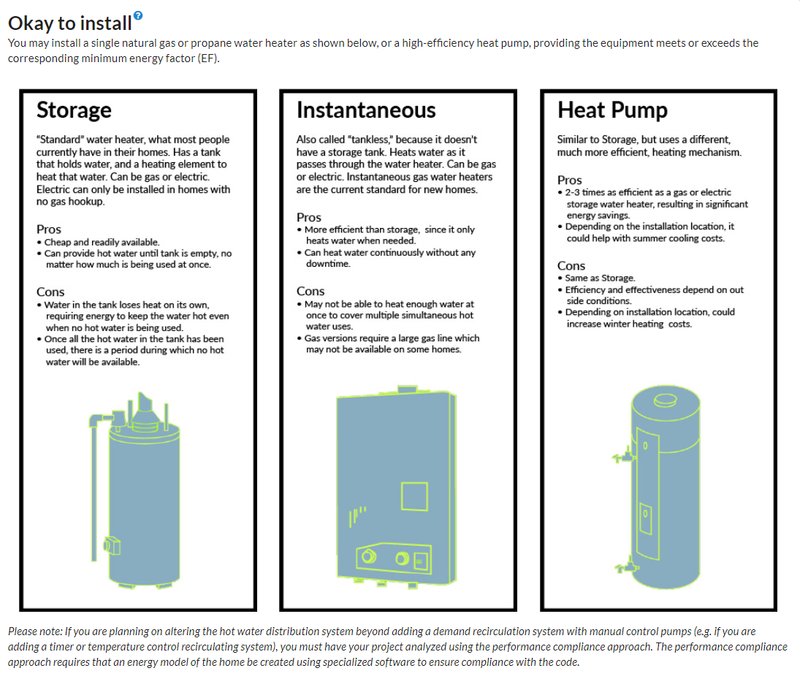 The ePermit Tool is a free user-friendly online tool developed by the Bay Area Regional Energy Network (BayREN) that provides information and building permit forms for three of the most common types of home projects: replacing a hot water heater, replacing or adding new windows, and replacing all or part of a roof. The ePermit Tool works by collecting key information from the homeowner about a home repair or alteration job. Using this information, the Tool then provides educational information for the user, such as definitions of potentially unfamiliar industry-specific terms (e.g. U-Factor, Fenestration) and guidance on next steps of compliant home upgrade options (e.g. types of water heaters and windows). The ePermit Tool also lists the forms needed to apply for a permit and provides links to download the forms, as well as a suggested project description which can be used when completing the forms. Please feel free to reference BayREN’s webinar recording below for an introduction and online demonstration of the ePermit Tool. The ePermit Tool was developed to help eliminate or reduce common errors and discrepancies during the permit application process without disrupting or significantly changing a Building Department’s standard operating procedure. At the same time, the ePermit Tool can increase awareness of Energy Code requirements and help improve energy code documentation and building performance. The ePermit Tool can help homeowners learn about permitting and energy code compliance for common home repairs and alterations without needing to call or step into the building department (lessening the burden of staff). The Tool provides definitions of potentially unfamiliar industry-specific terms (e.g. 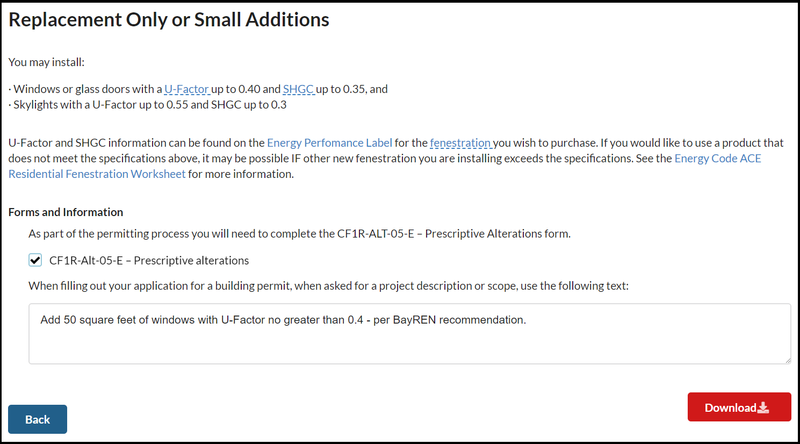 U-Factor, Fenestration), links to supplemental resources, and, most importantly, a downloadable copy of the compliance form(s) required for their building project, along with the required project information to include on the permit form. We encourage local jurisdictions to take advantage of the option to create a free customized ePermit Tool for their community members to use. In addition to all the benefits mentioned above, with the customized ePermit Tool, building departments can add the jurisdiction’s logo, link the user directly to the Building Department or Permit Center webpage, and include downloadable versions of jurisdiction-specific resources. By customizing an ePermit Tool, Building Departments are further streamlining the permitting process by connecting the homeowner directly to their Permit Center and providing any jurisdiction-specific information to answer potential questions. BayREN’s ePermit Tool in Practice. 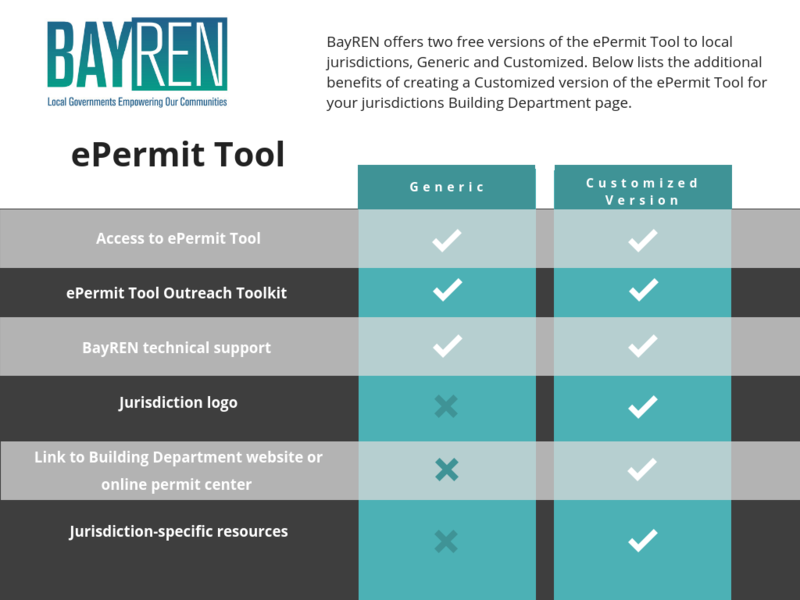 Description and demonstration of the BayREN ePermit Tool. Additional materials and an “Outreach Toolkit” will be developed soon so check back again for more resources. Please fill out this form to create a Customized ePermit Tool for your local jurisdiction. We will follow up with you shortly. How did you hear about the ePermit Tool?